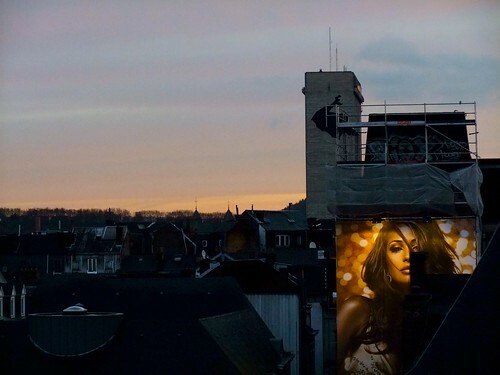 A photo of a giant poster for Jennifer Lopez clothes/beauty products hiding the renovation works on the facade of the St Denis car Park. She's also visible in one of the photos I posted yesterday. Still snow in Liege? Here winter is over!